Teleology confirms $50m deposit, shares plan for 9mobile – Royal Times of Nigeria. 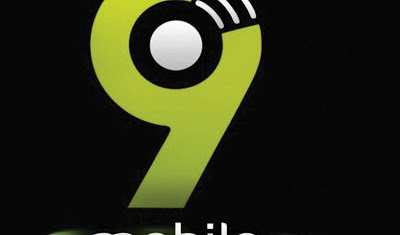 Preferred bidder for 9mobile, Teleology, has confirmed its fulfilment of the $50m non-refundable financial requirement on Wednesday ahead of the March 22nd deadline, edging out fierce rival, Smile Communications. According to an official statement received, key executives of the organisation have been deep in meetings with the Nigerian bank syndicate (that took over 9mobile), the regulatory authorities and advisors. These meetings have culminated in the signing of the Share Purchase Agreement (SPA) and other contractual documents pertaining to the acquisition. To consolidate the acquisition, it was gathered that Teleology will have to pay a balance of $500m in the next 90 days. According to Teleology’s Director, Adrian Wood, the new management will overhaul the company’s operations to deliver optimal value to employees, customers, local communities and other stakeholders, adding that the new organisation to emerge would be engineering led and brand-driven. Wood added that Teleology had set out a 10-point plan that aggregated its mission and how it intended to turn the 9mobile organisation around. It plans to double the 9Mobile network with new 3G/4G specific cell sites as well as a several thousands of kilometres of fiber optic cable across the country, the company stated. He added, “It will drive a special programme of rural Internet coverage, focusing on 4G with broadband access planned for all of Nigeria’s 774 Local Government Areas. Finally, Teleology has already entered into an alliance with Safaricom, the largest network operator in East Africa.